Danny Murphy, Liverpool’s former midfielder, has taken a swipe at Rhian Brewster and some of his England U17 team-mates following their World Cup win. 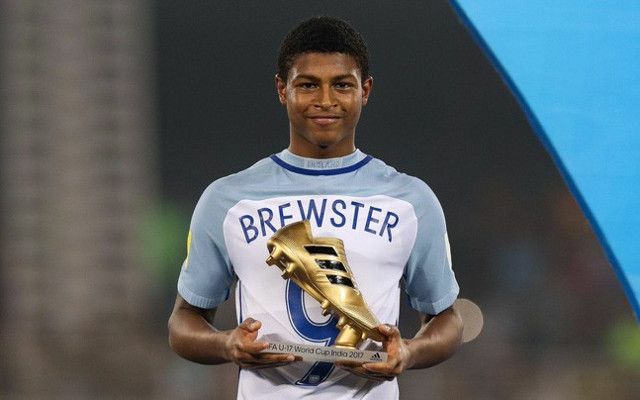 After the 5-2 victory against Spain at the weekend, Brewster, who won the Golden Boot with eight goals, turned his shirt the other way round – as did a few of the other players. Murphy was offended by the gesture and believed it stank of ‘I’ve made it,’ when in reality, they haven’t yet. “They’ve all turned their shirts around because they want their names across their chests, so everybody across the world can see who they are,” he told the Echo. They’re entitled to be ecstatic and we should be celebrating them and revelling in their success rather than picking faults. Brewster will be on Cloud 9 upon his return to Merseyside and we hope he continues knocking in goals for Liverpool’s Under-23s, now. If he does that, there could be a spot on Jurgen Klopp’s bench for him soon.